I have always been curious about this… do people pay for themes? 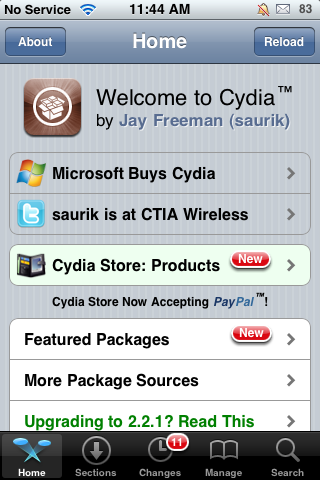 I personally have never paid for a theme in Cydia but honestly, that doesn’t mean that I wouldn’t if I found one I really liked. I think Doug has bought a theme or two. If you have purchased a theme… let us know in the comments which one and if you thought it was worth the $. Side Note: Not gonna lie… Smoog is still my favorite theme… I’m rockin’ it right now! Have you paid for a theme? Oh yeah totally... theming is what it's all about! Haven't yet but, I might if I find one I really like. So, now that the new iPhone 4 has been officially announced… will you get it?? I’m sure Doug will be standing in line on June 24th like he is every year!! I, on the other hand, will once again get his hand-me-down. So wrong! Will you get the new iPhone 4? Heck yeah! I'm totally upgrading! Yep... and this will be my first iPhone! No way... I'm sticking with my current iPhone! Don't have an iPhone... not getting the iPhone 4.